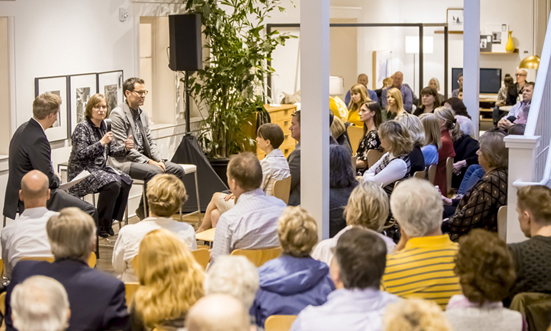 Rosemary was delighted by the audience questions at the recent Architecture MN Magazine and Room & Board event. Speaking about our approach to renovating classic midcentury houses, Rosemary used examples and details from the 1959 Portland, OR house recently completed. Everyone agreed that TVs, open spaces, and livable bathrooms were not on the radar 60 years ago! More info about the PDX project is here.